We track every Genesis video game purchase on eBay to bring you the most accurate video game prices around. 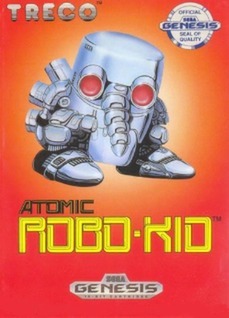 Atomic Robo-Kid (Sega Genesis) NEW SEALED MINT VGA 85! Atomic Robo-Kid (Sega Genesis, 1990) Cart Only Ships Fast !! Atomic Robo-Kid (Sega Genesis, 1990) cartridge,USED, Tested, nice see pics.